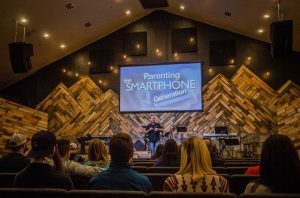 We’ve all seen kids staring at their cell phone screens banging out text messages or kids connected to tablets via earbuds playing games, surfing the web, or watching online videos. But, just how much time does a kid spend staring at a screen these days? According to research, more time than most people spend working at a part-time job. 45% of 13- 18-year-olds spend at least 4 hours every weekday on an Internet-enabled device. 28% of the same age group log a whopping 5 hours every weekday. Nearly half of the 19- to 22-year-olds also spend 4 hours every weekday connected on a mobile device. Do the math; that’s 20+ hours per week, on average. 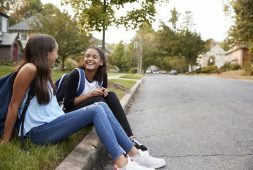 While there’s an almost limitless number of activities available to mobile-equipped young people, the two interests that consumed most of their “connected” time was, unsurprisingly, texting and social media. Young people spent, on average, 114 minutes every weekday sending texts to friends and family. Social media, such as Facebook, Instagram, and Twitter came in second as the most preferred method of communication. The dependency young people have upon mobile devices is a well-chronicled one. There have been studies, like this one from the University of Maryland, that found kids without their mobile devices experienced feelings similar to “phantom limb” syndrome in the lives of amputees. 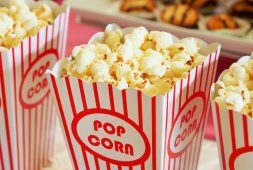 The dependency is so great, in fact, that Convent & Stuart Hall, a private school in the San Francisco area that utilizes lots of technology in the classroom, recently held a Tech Timeout Academic Challenge which tested students in grades 4th through 12th to see whether they could cease activity on all digital devices…for three whole days. Kids are encouraged to seal their smartphones in a bag and keep them there for the duration of the experiment. Some kids actually seized the opportunity to do different things; one male sophomore used his new-found free time to go surfing, bounce on the trampoline, and take walks. But others weren’t so successful with the endeavor; a different high school guy gave into temptation on the bus ride home when he had no one to talk to. It’s great to have access to technology via mobile devices. Those devices add a tremendous richness to our lives when used appropriately. But how do we help our teenagers balance their use of screens? Fortunately, it’s not terribly difficult to implement healthy boundaries when it comes to mobile devices. Granted, it may take a little time to change ingrained behavior, but with some partnership, determination, and a little mercy, you can help all of your family members live a more balanced life when it comes to mobile tech. Here are a few simple ideas. Set “tech free” zones/times. It’s a good idea to have places and times that are tech free. This gives kids a place they can decompress and focus on other things (and other people). 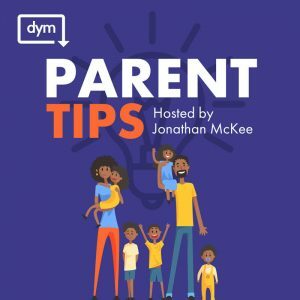 Set you own guidelines, but some great suggestions include: at the dinner table, during the car ride to school, the last hour before bedtime, etc. Be gracious in implementing the standards you choose; remember: some habits are hard to break. Help kids understand tech’s underbelly. Technology, like a bowl full of five alarm chili, can have certain unintended side effects. For example, do your kids understand the marketing ploys used by developers? Yes, there are thousands upon thousands of free apps out there…but most of them include in-app advertisements. And can they adequately sidestep the myth that “cool tech = cool person”? Here’s a great list of ways you can help your young person bring their use of tech into balance. Model a healthy balance of tech in your life. This one is largely self-explanatory. If you’re sending texts during dinner – or behind the wheel – you simply cannot expect different behavior from your kids. Whatever system you put in place, make sure to subject yourself to it, as well, for the sake of preserving the standard(s). Nothing is as powerful as your example over the long haul. Ultimately, it will take a little time to make the changes you deem necessary. En route to those new habits, make sure to celebrate every win and outline the positive shifts you see. Just remind yourself: tech use, like any other part of life, can be (and must be) brought into balance.